Baturraden because it is situated on the slopes of the mountains make this area has the cool weather and tends to be very cold especially at night. 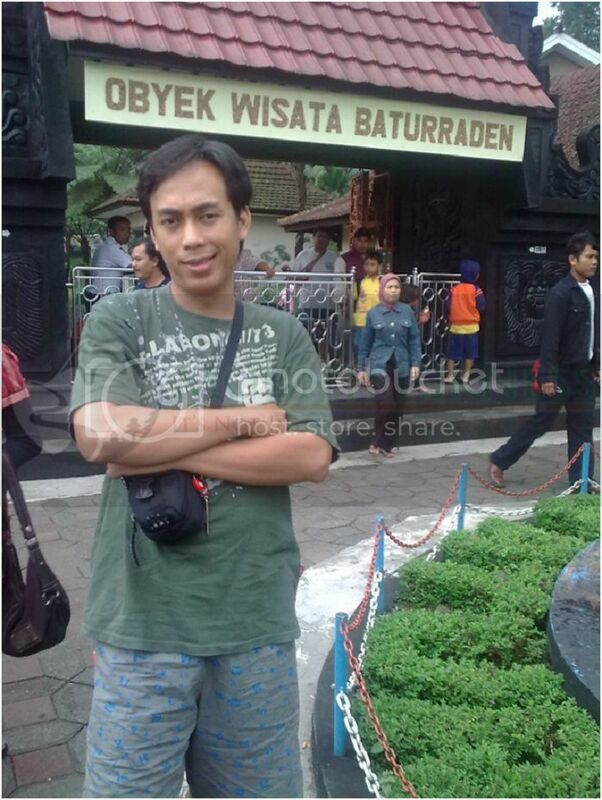 Baturraden also a tourist area visited by many local tourists, especially on Sundays and national holidays. These conditions led to many hotels and villas founded here. Baturraden can be reached by private car or public use. The distance of Navan town about 15 km and can be reached within 15 minutes with traffic that is not too dense. If you want to use public transport tourists to ride public transportation from the terminal in Purwokerto and alight at the terminal Baturraden tour place. The road to the location of the climb with a slope of about 30 degrees, not only save the elegant natural scenery, but also the folklore about Raden Kamandaka, or monkey Kasarung quite familiar in Indonesian society. Shower 3 (Barbadensis). Shower 7 (Pitu), Goa Sarabada, Silent Lake, Waterfall Park Cipendok and Widya Mandala Kaloka that there are various kinds of animals that come from within and from abroad as from Australia, Asia and the Netherlands. The collection includes: Cow foot-five, three-leg Goats, elephant, monkey (Buing), New Guinea Crocodile, Python, Kaswari, Monkey, Hedgehogs, Iguana, Bird of Paradise, Bats, Kate Chicken, Chicken Pearl, Orang Utan, Bondol Eagle, Deer. In this place there are also Museums Endangered Wildlife, such as Sumatran tigers, bears Honey, and clouded leopard. In addition to easy access, tourist area also provides a variety of hotels and inns are adequate. In addition, for lovers of outdoor camping ground provided a comfortable and safe. And no need to worry about difficulties in obtaining food, since in this area quite a lot of traders who peddle food especially rabbit satay.